The mobile payment landscape becomes a bit more fragmented today with the launch of Walmart Pay, a mobile payment function within the existing Walmart app. 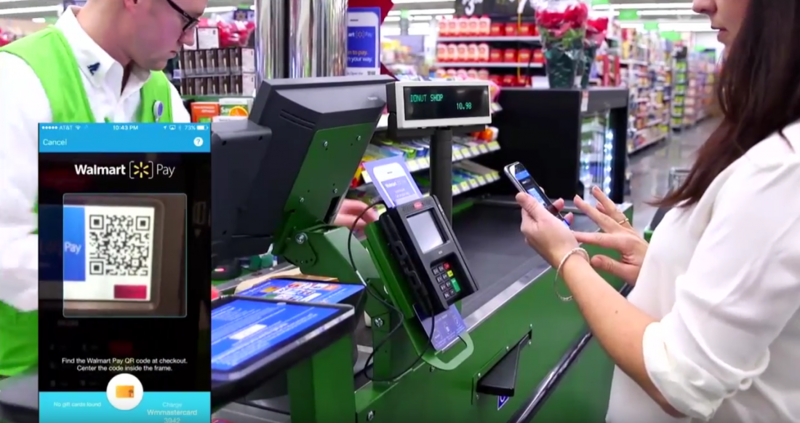 The feature, launching today in select Walmart stores near the company's headquarters in Bentonville, Arkansas, allows customers to pay for purchases using their mobile device. During checkout, shoppers can open the Walmart app, select the Walmart Pay function then use the camera on their smartphone to scan a QR code displayed on the traditional card reader terminal. Customers can link a number of payment methods to the app including debit and credit cards as well as prepaid cards and even gift cards. Neil Ashe, Walmart's CEO of global commerce, said they're making it as simple to pay in the store as it is to pay online. Those wanting to use it will of course need the Walmart app and an Android or iOS device. As USA Today notes, consumers are becoming more comfortable in general with the idea of shopping via their smartphone. Over the Thanksgiving weekend, nearly 50 percent of Walmart's online orders came from mobile devices while usage of the Walmart app by in-store shoppers was up nearly twice as much compared to the same period a year ago. Rollout of the Walmart Pay function begins on December 10 (today) in select stores with a nationwide launch scheduled for early next year.